<< Back Door / Window Alarm, Be safe today. 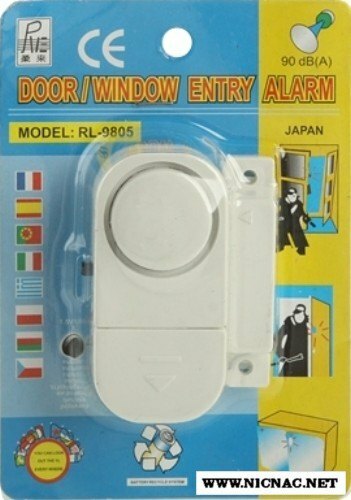 This Door / Window Alarm is easy to mount to your window or door. Magnetic sensor switch detects entry protecting your hor or office. Warning door / window sticker is supplied free in the package. Operated by 3 1.5 VLR 44 button cell batteries included in package. Comes with easy instructions!